SDBJ's Steve Sinovic reports on a collaboration between a research team based at Calit2 and local San Diego firm Digitaria on the National Geographic-sponsored "Field Expedition: Mongolia" project. UCSD Guardian reporter Neda Salamat features Calit2-affiliated archaeologist Thomas Levy in her story on Levy's work to uncover an early Biblical kingdom of Edom. IT Mega, an online source for technology news, runs a video demo featuring data visualization of paintings by Mark Rothko. Jeremy Douglass of Calit2's Software Studies Initiative presents the research. In a video picked up by "Science Documentaries," Calit2 Director Larry Smarr discusses the state of the art in supercomputing, with a focus on how current computation compares to the human brain and when supercomputers will surpass human processing power. Cynthia Figge of Environmental Expert.com reports on the Future in Review FiReGlobal : West Coast conference, where Calit2 Director Larry Smarr shared several potential scenarios for how our world and our country can fight back against catastrophic climate change. OCBJ's Rick Reiff reports on Calit2's 10th anniversary celebration, which will feature former California Governor Gray Davis. Imperial Valley News reports on the most rest Greenovation Forum (held at Calit2's Atkinson Hall) where a panel of experts discussed ongoing methods for mitigating and adapting to risks posed by climate change and rising ocean levels in Venice, Italy and San Diego. YubaNet.com picks up Calit2's story on the most rest Greenovation Forum (held at Calit2's Atkinson Hall) where a panel of experts discussed ongoing methods for mitigating and adapting to risks posed by climate change and rising ocean levels in Venice, Italy and San Diego. The Times of India reports on research by UCSD Associate Professor of Political Science James Fowler of Calit2''s Center for Wireless and Population Health Systems. Fowler and his colleague have demonstrated that cooperative behavior is contagious and it spreads from person to person to person. India Vision reports on a breakthrough at the NSF-funded Center for Integrated Access Networks (CIAN), where engineers have generated short, powerful light pulses on a chip -- an important step toward optical interconnects that will likely replace the copper wires carrying signals between chips inside today's computers. 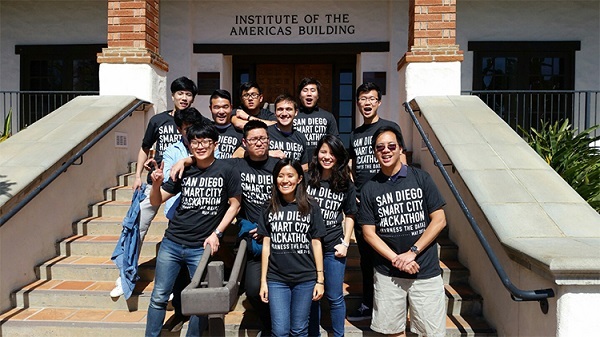 CIAN's UCSD group is based in Calit2.